At The Gear Centre, you will find the best selection of rear axle shafts for Ford, GM and Chrysler cars, pickups, SUVs and vans. Our axles are guaranteed to provide your car or pickup truck a level of performance that will meet or even exceed your expectations. You can trust the parts specialists at The Gear Centre to find the right axle for your vehicle! 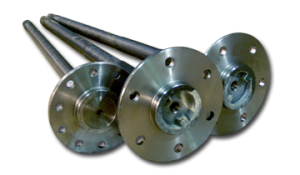 All of our axles come with a 1 year manufacturer’s warranty.